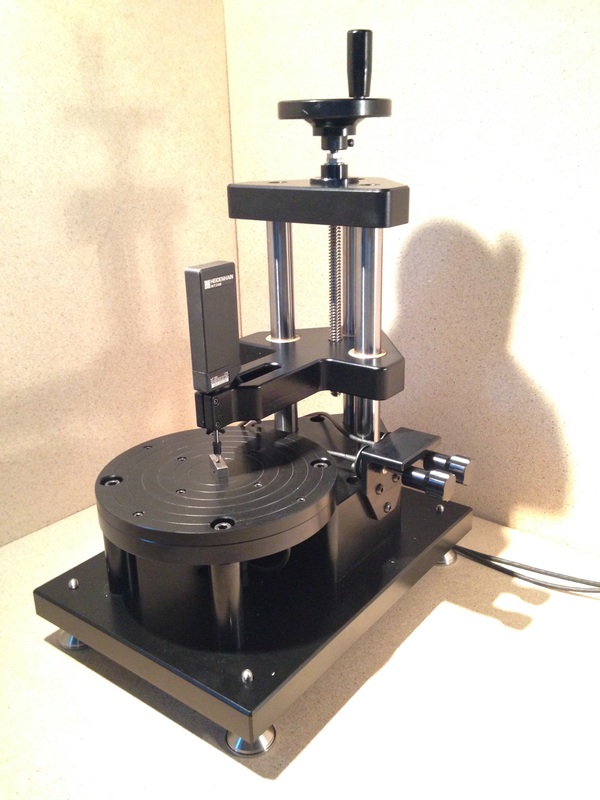 The Contact CT Gauge from Armstrong Optical offers thickness measurements of up to 100mm with a standard diameter range of 300mm. 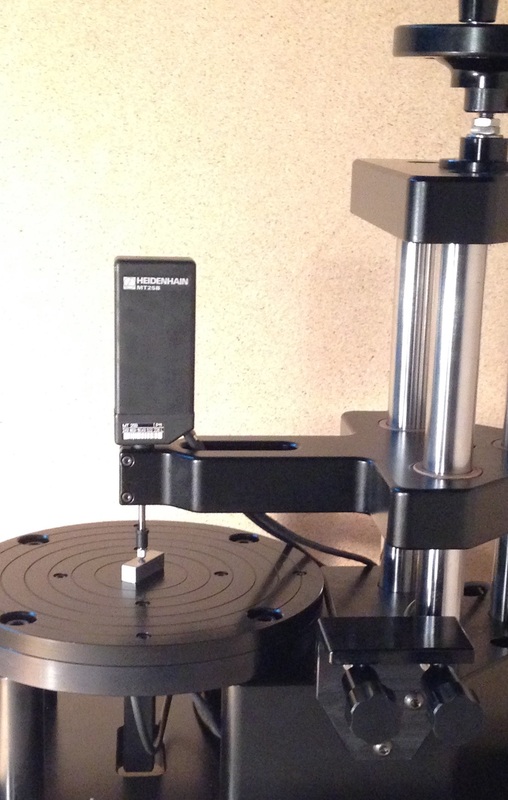 Used for quick, accurate measurement of glass components this system incorporates 2 Heidenhain linear gauges mounted in opposition to each other. These are linked to a digital display which shows the difference between the 2 probes thus giving a direct reading of centre thickness. The top gauge has a range of 25mm, resolution of 0.1μm and is movable to give access for thicker lenses. The bottom gauge has a range of 12mm, resolution of 0.1μm and is generally fixed. Both gauges have probe lifters attached so that the probes may be retracted allowing easy access for positioning of the lens prior to measurement. The table, mounted between the 2 gauges, is constructed of TUFSET plastic on an aluminium backing plate, offering robust construction along with a non-marking surface. The whole is mounted onto a granite base offering stability with low maintenance (corrosion free). You can find out more about Laser Gauging Probes from SIOS HERE.